Meet Lianne Metcalf Teacher Trainer. 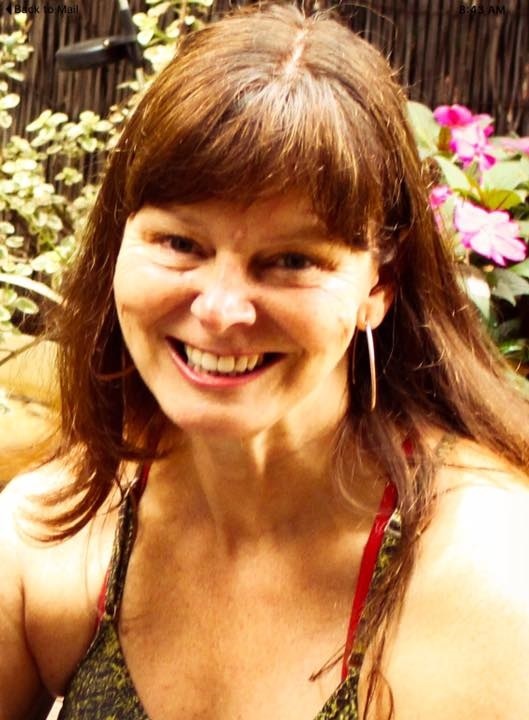 Lianne has over 25 years experience teaching and practicing yoga. She developed her first teacher training in 2004, the first SomaChi Yoga Teacher Training. By 2007, her school was accredited with the international body of Yoga Alliance. For the past 3 years her trainings have included 70 hours intensives in India. Her unique style encompasses the influences of physical theatre, where she received sponsorship to study Grotowski and experiential theatre in Europe, and the influences derived from her travels in the east, including Nepal, to study Buddhism. Her classes are described by her students as refreshing and experiential. The Melbourne Age characterised her style as “fun classes that swoop into trikonasana (triangle pose) in dance like rolls from the waist, and cycles of sun salutations”. Lianne’s vinyasa has been influenced by taoism, tai chi, Vajrayana Buddhism and over the years the yoga world of Cyndy Lee, Shiva Rae and Wade Imre Morrisette. She has an advanced diploma in Zapchen Somatics (Buddhist and Western body psychotherapy), where her principle teachers are Tony Richardson and Julie Henderson. For the past 15 years she has been studying Buddhism with Dzongsar Khyentse Rinpoche. Lianne also enjoys and studies within the Shambhala tradition of contemplative meditative practices. She is currently entering her sixth year as a student of Dharma Gar, where she has committed to two hours of meditation practice a day for 10 years. Lianne now teaches internationally including India and China. In 2018 she will be launching teacher trainings in China and pilgrim retreats to India with her husband Peter Watts who has extensive experience teaching Eastern philosophy. Here in Oz she organises in-depth traineeships for new teachers and is excited for her new venture in 200 vinyasa training and 300 hour (100) SomaChi with Om Yoga Australia. Over the years Lianne has taught many styles of yoga, Improvisational and Somatic Movement. She has given yoga and Somatic instruction at Chunky Moves, Melba Conservatorium of Music, and was a teacher trainer for Somatic Pilates at The Melbourne Sports and Aquatic Centre. She is hugely experienced in sequencing classes that directly communicate to her students through sensory applications. Other ventures have included been flown to outback Australia to run Yoga and Pilates Workshops. In 2011 she taught sensory applications of functional anatomy to medical students of Melbourne University. Many of her past students are teaching today around Melbourne in SomaChi and Vinyasa, and some have ventured into their own studios. Her passion and motivation for yoga stems from traditional Eastern and Western contemporary influences. Paying utmost respect to her own teachers, Lianne continues to go beneath the structure of asana, asking the question of how you find spontaneity and energy to express these ancient postures, as it is here we can experience great joy.